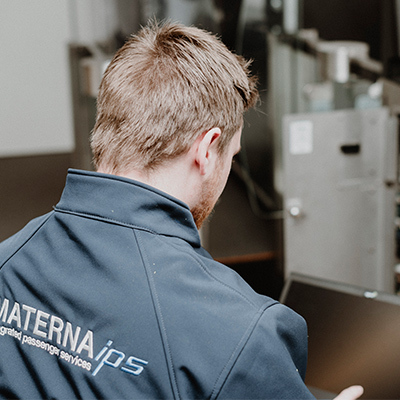 Materna IPS delivers everything from one source, from the initial concept design through to installation and testing. As one face to the customer we work together with professional partners. 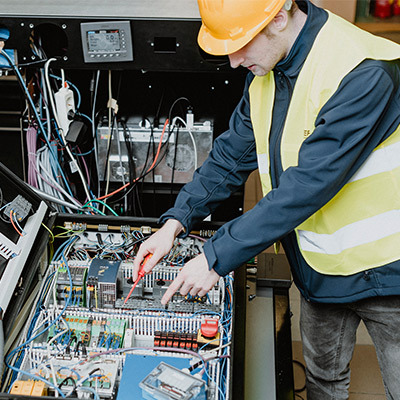 We deploy well-proven solutions to meet the highest quality standards and we also reliably implement the most complex major projects. 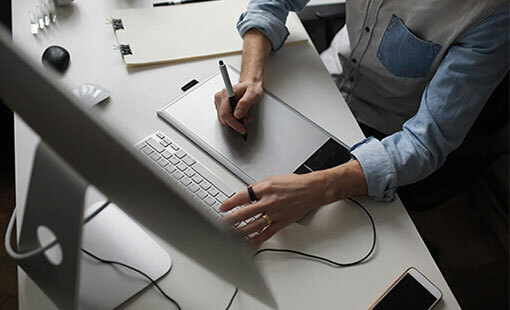 Our strengths are based on our more than 30 years of experience in this sector and on our software expertise. 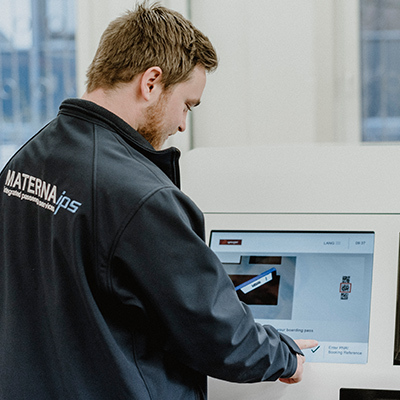 We can also rely on the comprehensive technology know-how in the Materna Group. Our VR and AR experts create VR demos to showcase all the requirements airports and airlines might have. Objects such as kiosks are projected to scale in a life-size virtual airport environment that can be viewed from all angles. 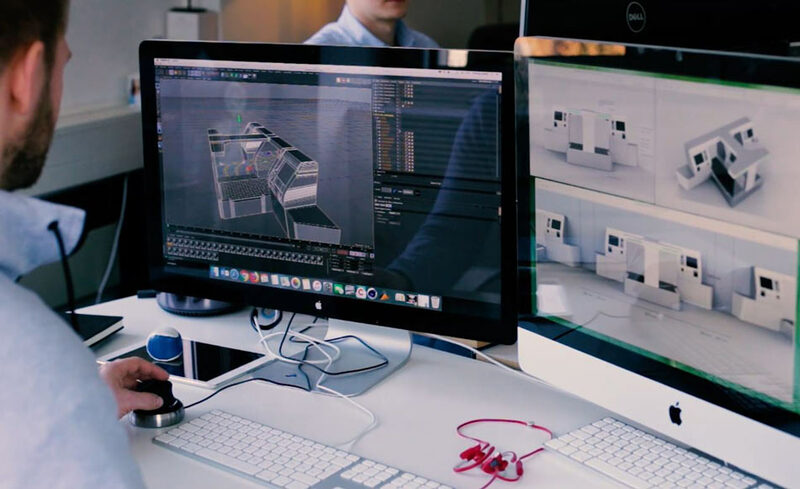 The aim is to create a realistic simulation of all the relevant products and processes. Just like our customers, we attach great importance to creating modern designs that fit perfectly into each specific airport environment. Our range of Air.Go products has been developed by Scandinavian designer Marcus Pedersen and, once again, won the German Design Award 2019 for its excellent, up-to-date look. Materna IPS represents the highest levels of expertise in software development and system integration. Our IATA-certified platforms are deployed at airports all over the world. 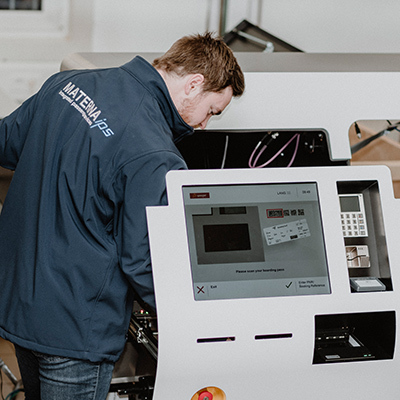 Thanks to the CUSS-platform developed by Materna, airlines can be conveniently integrated in our systems and benefit from the Common Use Self Service standard. As a white label platform, we can also integrate it on third party hardware. We also enable payment and biometric solutions to be deployed at various touchpoints. Our software undergoes very thorough security checks. We work according to a modular approach based on standard solutions. In customer projects, smooth customer support and professional implementation are our top priorities. Our supply chain team takes care of our suppliers and on-time delivery. The IPS project managers coordinate the entire process within the project and the assembly of the project solution as required. We adapt our standard products individually to meet our customers’ specifications and develop customized solutions. 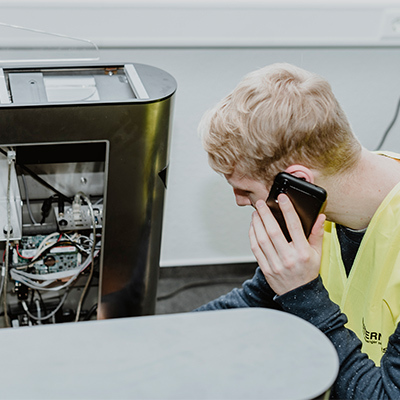 In order to guarantee this, we have teams of technical project managers not only in our workshops in Germany, but also in our branch offices – always close to the customer on site.